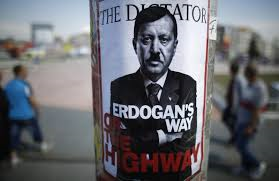 Under the leadership of Recep Tayyip Erdoğan, Turkey has continued to slide further and further into the extreme right towards militant Islam. It has (coincidentally?) also pushed the country closer to US President Obama and further from Israeli Prime Minister Netanyahu. The strong rightward shift has not changed the relationship between Erdogan and Obama. 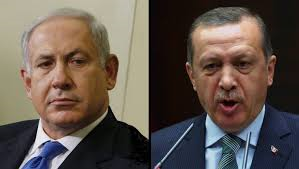 As described above, the Netanyahu apology to Erdogan did nothing to repair relations between Israel and Turkey and nothing slowed Erdogan’s crackdown on freedom in Turkey. The Obama administration twisted itself every-which-way to excuse terrible Turkish policies (whether its treatment of the Kurds, failure to support war on ISIS, suppression of freedoms at home…) while it picks on Israel for matters of protocol. To listen to liberal media and democrats these days, you would think that it was Israel that was acting “churlish” for matters of protocol as opposed to specific attacks on Israel. “Israel is dropping 400 tons of bombs on our brothers, not chickpeas…to agree with brutality is brutality itself,” said the prime minister. The Turkish Prime Minister has come to the side of Gaza again, seemingly with a bowl of hummus. Just over one year after Erdogan extracted an apology from Israeli Prime Minister Benjamin Netanyahu for the killing of nine “activists” on the Mavi Marmara, Erdogan is pointing an accusing finger at the victim of aggression again. A satire of the Netanyahu apology to Erdogan is below. Perhaps Erdogan should leave it in his favorites folder.